What’s New: Today, Intel joins industry partners as a founding member of the Reboot Representation Tech Coalition, an initiative spearheaded by Melinda Gates’ investment and incubation company, Pivotal Ventures. 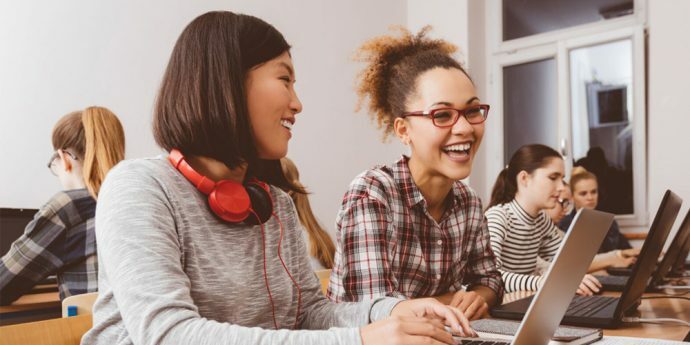 The coalition will align existing philanthropic donations and increase funding to double the number of women of color graduating with computing degrees in the U.S. by 2025. It was created to address insights revealed in the Rebooting Representation report released today. What the Research Shows: Based on research conducted by Pivotal Ventures and McKinsey & Company, the Rebooting Representation report examined insight from the companies on closing the gender gap in the technology industry. Researchers found that of the 32 leading technology companies surveyed, only 5 percent of their philanthropy ($26 million annually) goes toward gender diversity in technology, and less than 0.1 percent of their grants focus on women of color. The report highlights that despite women of color accounting for approximately 16 percent of the general population, they only hold around 4 percent of roles in the computing workforce and are almost completely absent at the senior leadership level. Pivotal Ventures and McKinsey & Company developed an advisory panel that helped inform these findings. Based on recommendations from this panel, a coalition of 12 leading companies was developed to improve philanthropic efforts to increase representation of women of color in technology. The need for championing women of color in computing is glaringly apparent, and the Reboot Representation Tech Coalition aims to support diversity and inclusion efforts where research has identified the greatest gap. What Partners Pledge: Intel and 11 other companies that form the coalition pledged more than $12 million, which represents a 30-times increase in funding. All funds from the coalition members are going directly toward efforts to engage underrepresented women of color in computing. The coalition will be housed at the National Center for Women & Information Technology (NCWIT) and founded with the support of Pivotal Ventures. What It Means for Intel: Intel’s investment in the Reboot Representation Tech Coalition reflects its continued commitment toward the company’s diversity and inclusion goals, with an emphasis on fostering an inclusive culture. Diversity and inclusion are key to Intel’s evolution and driving forces for continued innovation and growth. In January 2015, Intel set a goal to reach full representation of women and underrepresented minorities in its U.S. workforce by 2020. The company committed $300 million to support this goal and the broader goal of improving diversity and inclusion in the entire technology industry. Intel measures its progress twice a year and is on track to reach its goal by the end of 2018, two years ahead of schedule. This has been the result of a comprehensive strategy that takes into account hiring, retention and progression. Architecting a more diverse and inclusive workplace and industry may be difficult, but together it is possible. More Context: For more information on Intel’s commitment to diversity and inclusion, visit Intel’s Global Diversity and Inclusion website or the Diversity in Technology Initiative press kit. To learn more about the Reboot Representation Coalition, visit the coalition’s website.